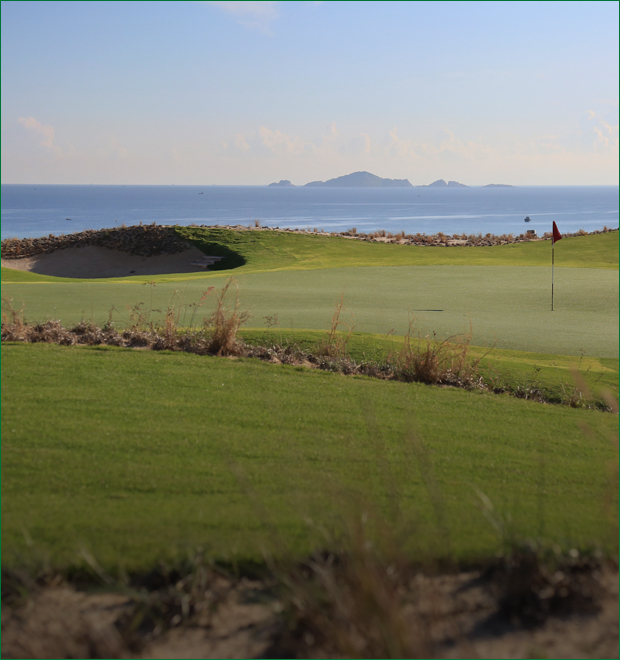 KN Golf Links is set on Long Beach - Cam Ranh, a beautiful parcel of land gifted by nature, providing a stunning vista over the glistening sandy beach, the blue sea and its accompanying white horses that envelope the link between sea and land. 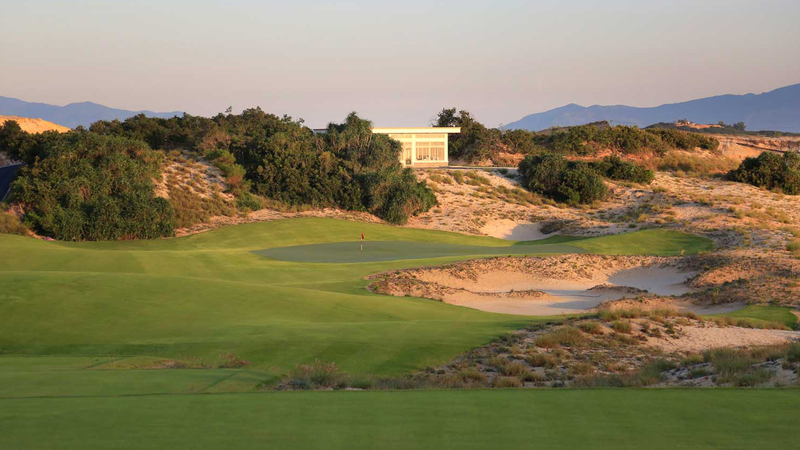 Nestled within the KN Paradise site that encompasses hotels, residential and commercial developments you will find 27 Greg Norman designed holes that will inspire any golfing enthusiast. The use of and play on the Club's golf course and practice range shall, at all times, be subject to the control of the Club's Director of Golf and his designated assistants. However, the Golf Course Superintendent, in consultation with the Director of Golf, shall determine when the weather or other conditions dictate the closing of the course or the prohibition of or the imposition of limitations upon the use of golf carts. 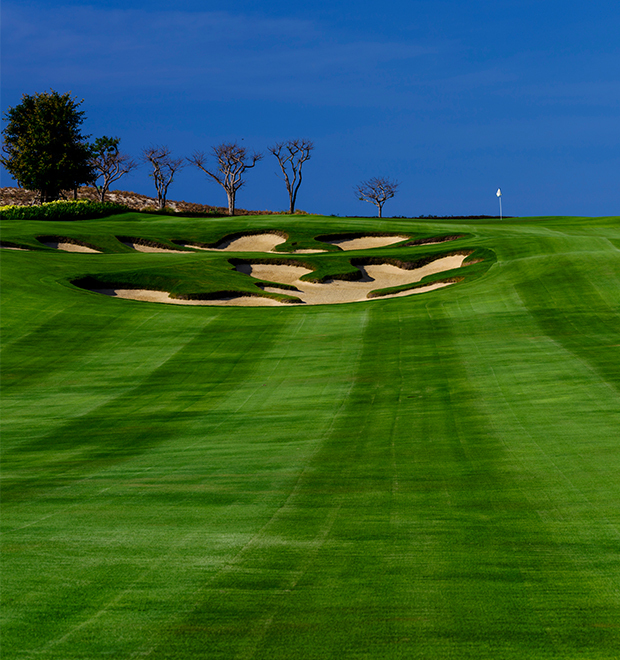 All members/guests must register with the Club at least fifteen (15) minutes prior to beginning play. Players "making the turn" from the No. 9 hole and the No. 10 hole shall have priority over players making an authorized start on the No. 10 tee. All players must be appropriately attired on the golf course and practice range at all times. Men must wear shirts with collars or currently acceptable golf fashion, at all times. Tee shirts, short shorts, swimming, and tennis attire are not considered appropriate attire for golf and, accordingly, are not permitted. Knee length bermuda or walking shorts are permitted. All players must have a golf bag, a set of golf clubs and wear appropriate spikeless golf shoes when on the golf course. Two (2) or more players may not play out of the same bag or otherwise, with a single set of clubs. Street, tennis, running, or similar shoes, other than golf shoes, shall not be worn on the golf course, whether by players or non-players in the company of players. KN Golf Links employs a caddie only policy, meaning all players must use one of our club trained caddies (Tariff included with in the green fee rates). Only those carts owned by the Club may be used on the premises. Club owned golf carts are only for use on the golf course and Club property. The use and operation of all golf carts is at the risk of the users and such users shall, as a condition of such use, indemnify and hold indemnified the Club, Club Management, the Manager, and the Owner, from and against all liabilities arising out of such use. If the user is a member's guest, the relevant member also indemnifies the Club, Club Management, the Manager and the Owner from and against all liabilities arising out of such use. Members shall be responsible and liable to the Club and the Owner for the cost of all repairs and damages to Club owned golf carts caused by themselves, members of their family, or their guests, as well as for any personal injury or property damage occasioned by the negligent operation of a golf cart by themselves, members of their family, or their guests. No more than two (2) people, two (2) caddies and two (2) golf bags may occupy or be carried in or on a single golf cart at any one time. It is mandatory that all members, members of their family, and, guests, sign the Club's standard form of agreement covering the operation of any Club owned golf cart prior to its use on the golf course or other Club premises. Golf carts must be operated on cart paths where provided unless otherwise directed by the caddies and, in no event, shall golf carts be driven to nearer than fifteen (15) meters of any green or ten (10) meters of any tee except on an established cart path located within those prescribed distances. Golf carts are not permitted to be driven in or through any sand traps, bunkers or other hazards and shall be kept at least five (5) meters from the lip or edge of any sand traps, bunkers or hazards. Soft areas of fairways, depressions, and drainage retention areas must be avoided, especially after heavy rains. After heavy rains, during extended wet periods, and otherwise when specified by the Golf Professional or Golf Course Superintendent, golf carts shall be restricted to the roughs or cart paths. All directional signs, stakes, ropes, and other markers used to guide and direct golf cart traffic must be observed. Similarly, signs prohibiting or restricting the use of golf carts in particular areas are to be obeyed without exception.